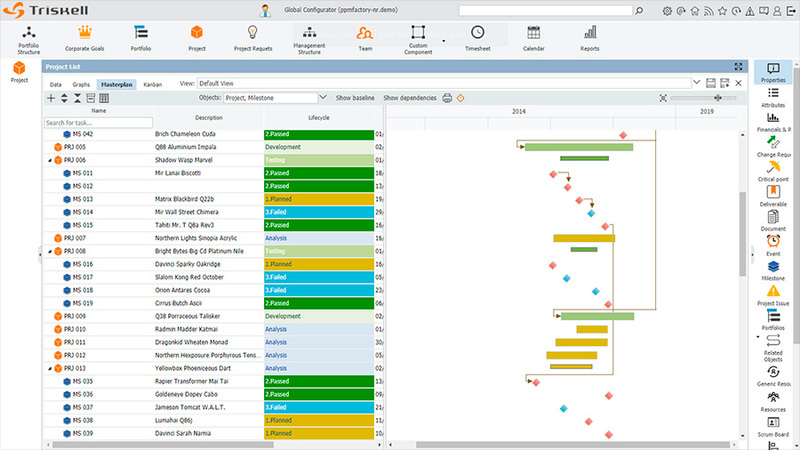 Triskell Easy-to-use Master Plans for clear overview of Strategy and Portfolio Execution time line with Powerful Gantt Chart for easy Project and Resource Planning. The Triskell Master plans are great tools to get a quick and easy visual representation of any portfolio item in the time line. It helps to understand how initiatives, milestones, projects or any objects are organised in the timeline, like when it should happen, when it really happens and what the actual status is. Master plans can use colors defined by life cycle stages for visual enhancement. Master plans can display baselines and progress. Multi-unit for duration and effort (hours, days, weeks, months). All types of dependencies between tasks (FS, SS, FF, SF) with Lag. Multiple modes for resource assignments (fixed duration, effort driven, dynamic assignment). Progress management with auto-progress feature. Rollup of actuals from timesheets. Auto rollup of task assignments to pools and attributes. Highly graphical and easy to use. 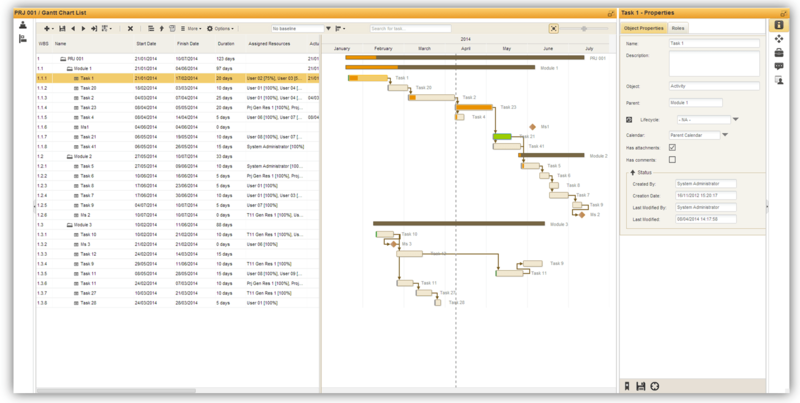 Easy-to-use web-based Gantt-chart with real-time display of resource usage and overbooking to make the project manager’s life easier. 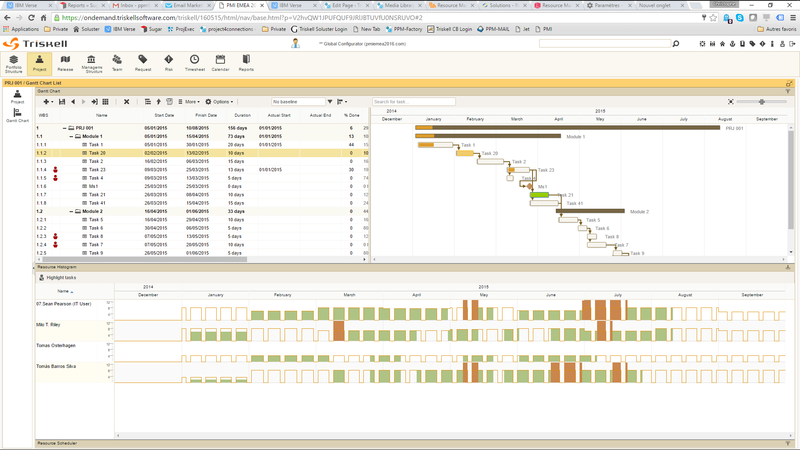 Graphically identify over-allocation directly during project planning and staffing. Resource managers get a real-time view of project plans including actual updates through approved timesheets, enabling the efficient management of resources across projects.